I got my first ham radio licence in 1980 at the age of 16 and, since 1981 I was on the air as IW5BBH, in 1990 I upgraded my licence to IK5QLO. I am mainly interested in space and weak signal communications, my favourite modes are CW and Digital. 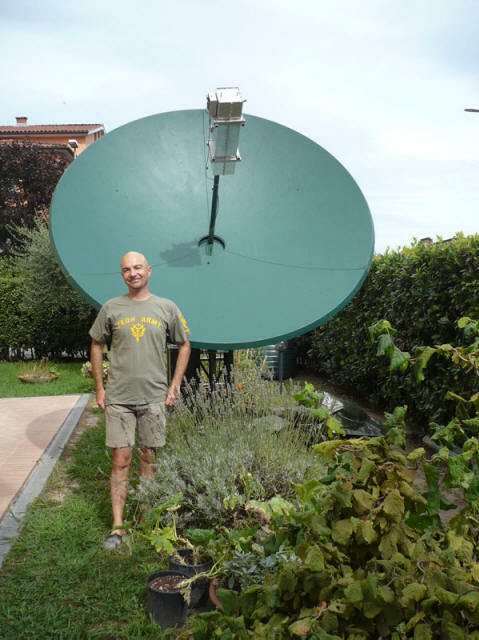 I have been active on HF- 50Mhz (6Mts DXCC # 387)- 144Mhz - 432Mhz - 1296Mhz - 10Ghz bands and since 1983 on the Ham Radio Satellites from Amsat OSCAR-8 to AO-40. Since 1989 I got interested in E.M.E. (Earth - Moon - Earth) experiments, first on 144 Mhz and since 1995 on 432 Mhz. Currently I am QRV EME on 1296Mhz.